Please come in to our shop to see all of our specialty wristlets! 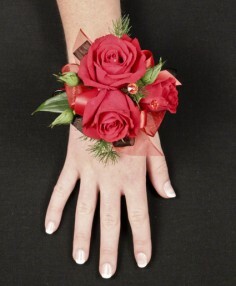 Some you can keep as a bracelet after the prom by removing the flowers giving you something special to remember your special night! 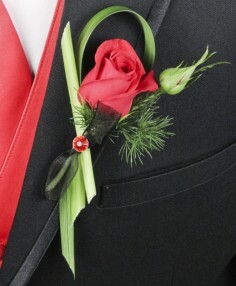 When ordering prom flowers it's also helpful for us to see a picture of the dress or to have a color swatch to match with the flowers and ribbons.Please call us if you have any questions. 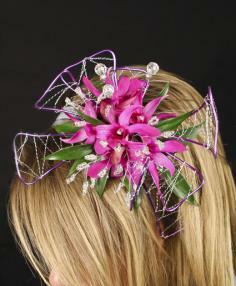 Prices for wrist corsages range from $19-$40 depending on the type of wristlet, gems and flowers used.